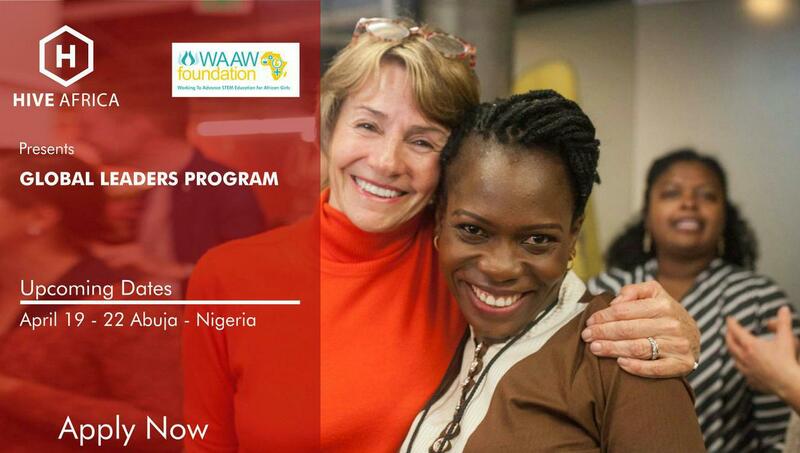 Application is opened for the 2017 HIVE Africa Global Leaders Program. This is a 3-day holistic innovative, entrepreneurship and leadership training designed around life, work and the world. Program attendees will have the opportunity to join a committed network of mission-driven leaders, implement daily habits that will help make a big impact, create an action plan for the next phase of life and reflect on life’s purpose and the future of the society. This longest running leadership program is scheduled to hold on the 19th- 22nd of April 2017, in Abuja – Nigeria. This event is bringing together up to 1000 attendees from top companies like Google, Apple, UN, World Bank and many more entrepreneurs, innovators and purpose driven leaders form 100 countries around the world. Like us on Facebook at http://www.facebook.com/waawfoundation to receive buy modafinil 100mg latest updates on when decisions are made and candidates are selected. Shortlisted candidates will be contacted directly. Eligible Participants: Open to CEOs, Managers, aspiring investors, innovators, sole proprietors, graduates, mission driven leaders, people who are solving humanity greatest challenges and any interested person between ages 20-65 years. Non-Residents Participants: ($400 / ?160,000 with Lunch, Dinner, Hive Africa Global Leaders Program (Speakers, Lectures, Discussions, Participatory Content & Certificate).